MANILA, Philippines- Amid cheating allegations against leading vice-presidential candidate Camarines Sur Rep. Leni Robredo, supporters of vice presidential candidate Sen. Ferdinand “Bongbong” Marcos Jr. have gathered at Rizal Park in Manila to express solidarity. 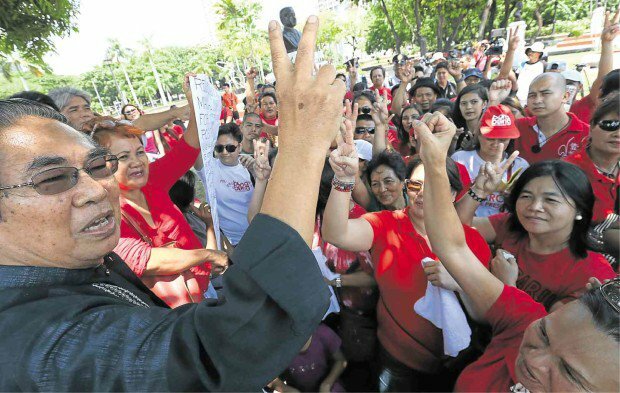 Over 100 supporters, mostly wearing red shirts, came together after a plea urging Marcos’ supporters to “occupy Luneta” beginning 9 a.m. on Wednesday, May 11 was posted on Facebook. 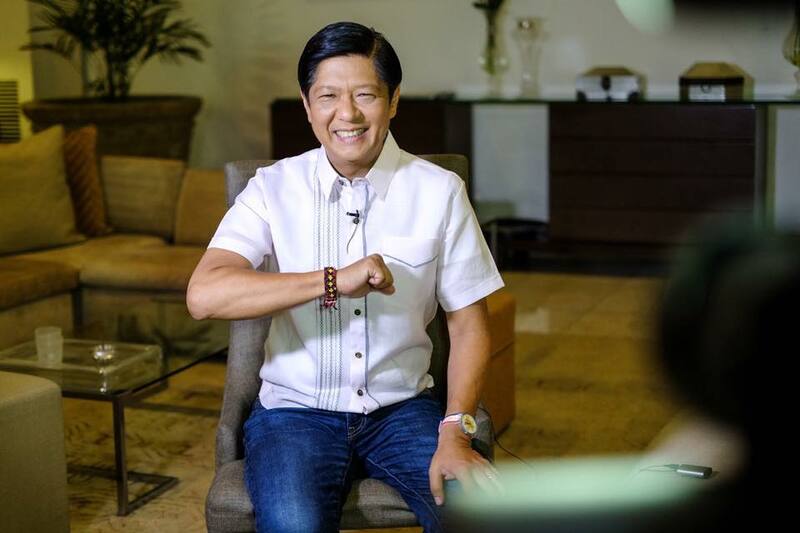 On Tuesday, May 10, Marcos alleged irregularities in the partial and unofficial counting of the votes for the vice-presidential race claiming that the Aquino administration’s plan B is in full swing. Earlier, the Ilocano lawmaker revealed Liberal Party’s alleged Plan B to ensure that President Benigno Aquino III will not end up in jail after the National Elections. “The Plan B is to ensure victory for Leni Robredo and remove Duterte via impeachment. In this way, Noynoy [the President’s nickname] and his minions will avoid being jailed,” Marcos revealed in a news conference. Meanwhile, Marcos’ running mate and losing presidential candidate Sen. Miriam Defensor-Santiago has also accused the administration of “manufacturing numbers” for Robredo. Political analyst Jan Robert Go, on the other hand, believes that there is no reason to doubt the vice presidential results if you trust the partial and unofficial presidential tally.